GREEN BAY — NFL Network’s “A Football Life” biographical series will be back for a sixth season this fall, with episodes on former Packers players Brett Favre and Charles Woodson scheduled. The episode on Favre, who was just inducted into the Pro Football Hall of Fame last weekend, is slated for Friday, Oct. 21, at 8 p.m. CT. The one on Woodson, who just retired following the 2015 season, his 18th in the league, is Friday, Dec. 9, at 8 p.m. CT.
More details on the episodes will be released at a later date. There is also an episode planned on new Hall of Famer Kevin Greene, a former Packers outside linebackers coach, but an air date has not been announced. GREEN BAY — The NFL Network’s annual “Top 100 players” series is back for 2016, and the first episode will reveal a Packers player ranked between No. 91 and 100. The show airs at 7 p.m. CT tonight (Wednesday), and it will be followed by a “Reactions” show that features former players Marshall Faulk, Eric Davis and Reggie Wayne. Last year, the Packers had six players ranked in the Top 100, as voted on by their peers. They were QB Aaron Rodgers (No. 2), WR Jordy Nelson (No. 18), LB Clay Matthews (No. 51), RB Eddie Lacy (No. 60), LB Julius Peppers (No. 71) and WR Randall Cobb (No. 100). The player being revealed on Wednesday night will be making his first-ever appearance in the Top 100. Packers WR James Jones will be the subject of a feature story on NFL Network’s “NFL Gameday Morning” program on Thursday, which begins at 9 a.m. CT. The story will focus on Jones’ upbringing, which included time living in a homeless shelter as a child, and his foundation — Love Jones 4 Kids — which helps the homeless in both Green Bay and Jones’ hometown of San Jose, Calif.
Packers LB A.J. Hawk was miked by NFL Films for last Sunday’s game vs. Cleveland, and some of that footage will be featured on NFL Network’s weekly “Sound FX” show at 9 p.m. CT on Wednesday. Others featured in this week’s “Sound FX” are Falcons QB Matt Ryan, Panthers LB Luke Kuechly and Chargers head coach Mike McCoy. Packers DE Johnny Jolly and his codeine addiction are the subjects of an exclusive feature on “NFL GameDay Morning,” the NFL Network’s weekly pregame show, this Sunday. The show airs from 8 a.m. to noon CT. The NFL Network’s Andrea Kremer interviewed Jolly while he was in prison in Texas and after he was released on shock probation. The story details his addiction, prison time, recovery and making the Packers’ 53-man roster this past summer after three years away from the game. Head Coach Mike McCarthy, QB Aaron Rodgers and fellow defensive lineman Ryan Pickett were also interviewed for the segment. NFL Network and Sirius XM NFL Radio will have reporters visiting Green Bay for Packers training camp on specific days in the coming weeks. NFL Network will have reporter Stacey Dales on location for the first day of practice on Friday. 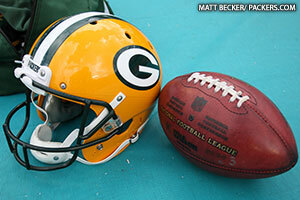 Analyst Solomon Wilcots will then report from Green Bay on Wednesday, July 31. SiriusXM’s training camp tour comes to Green Bay on Wednesday, Aug. 7, and will broadcast from 10 a.m. to 2 p.m. CT with hosts Bruce Murray and Rich Gannon. The NFL Network’s “Top 100 Players of 2013” will conclude at 7 p.m. CT on Thursday with the unveiling of the Top 10. There is one Packers player in the Top 10, and it’s obviously QB Aaron Rodgers. The only other Packers players in the Top 100 thus far are LB Clay Matthews (No. 31) and former CB Charles Woodson (No. 85), who is now with Oakland. Rodgers was No. 1 on this list last year and has therefore made the Top 10 for the second straight year. His ranking will be revealed on Thursday. Update: Rodgers was ranked No. 6. 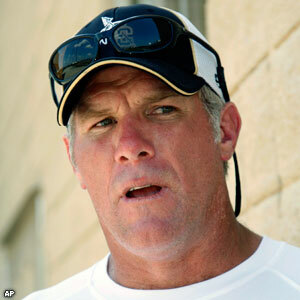 Former Packers QB Brett Favre will join NFL Network’s coverage team for NFL Gameday Morning prior to Super Bowl XLVII. The NFL Network’s 8 1/2 hours of pregame coverage begins at 8 a.m. CT from the Superdome in New Orleans. According to an NFL Network release, Favre will go on the air to discuss his thoughts on the 2012 NFL season, the San Francisco-Baltimore matchup and his life away from the field. Favre’s lone Super Bowl triumph came at the Superdome in New Orleans on Jan. 26, 1997, a 35-21 Packers victory over the New England Patriots. The Packers’ preseason finale against the Kansas City Chiefs at Lambeau Field on Thursday will be televised live on NFL Network, beginning at 6 p.m. CT. The broadcast crew will be the Packers’ preseason broadcast team of Kevin Harlan and Rich Gannon. The game will also be re-broadcast late Friday night/early Saturday morning, at 2 a.m. CT.